Cool things to fight global warming. The Greatest Threat to Our Planet is Cul-De-Sacs | Built to Last……. 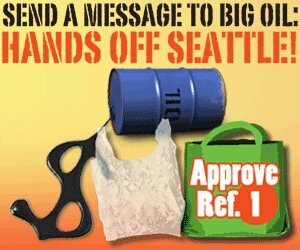 The Seattle Green Bag Campaign……. The Big Three Are Toast……. The New York Times is reporting that China has laid big, bold plans to become a leading manufacturer of hybrid and all electric cars in just three years. I sure hope its true. If nothing else, the Walmart years has made it extremely easy to import goods from China, which–in this particular instance– is a good thing, since Detroit has stubbornly refused to build the clean cars the United States needs to break its dependence on foreign oil. 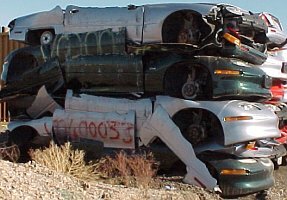 Do you think any of the suits still left at GM regret killing the EV1? 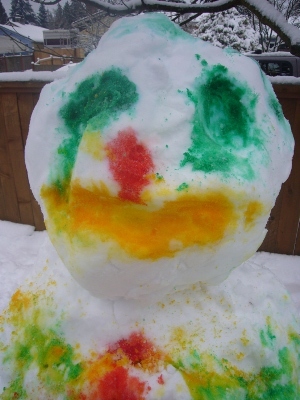 Coldy the Fridge | Avaaz.org……. Click here to contact your legislator. Capitol Climate Action, March 2, 2009……. Do Not Block Plug-In Tax Credits!……. Sheesh. You would think Congress loves failure. First, they hand over $300 billion to the banks which engineered the destruction of our financial system, with no oversight, or plans to get back the taxpayers money. No problem. Let those banks use the money to give out executive bonuses, pay for corporate junkets, and lobbyists. Even better. 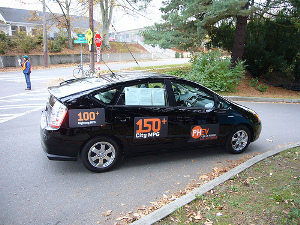 Use money in the economic stimulus bill to give consumers tax credits for plug-in hybrid conversions. Whoa, Congress needs to put the brakes on that kind of nonsense pronto. Wouldn’t want to do something which would decrease the United State’s dependence on foreign oil, fight global warming, or benefit ordinary citizens. Click here to let Congress know we demand affordable plug-in vehicles on the road, like yesterday. Washington State’s Brian Baird Gets It……. Here’s a big shout out to Brian Baird who showed the courage to recognize 350 parts per million as the safe upper limit for carbon dioxide in the atmosphere. Not only is 350 ppm the upper limit dictated by the science on climate change, but Represenative Baird had the nerve to put forward this limit as the basis for the next international climate treaty. You can thank him too. Just click here to get started. Once Again Washington State’s Clean Energy Initiative Is Under Attack……. First, the utilities lobbied Washington State’s Department of Community, Trade and Economic Development (CTED), begging for rules which would allow each utility to implement I-937 as it saw fit, rather than meet the voter approved mandate of generating 15% of their energy from clean, renewable sources by 2020. Now, these same obstructionists have taken their case to the Washington State Legislature. This time the utilities plan to weaken I-937 by allowing Washington’s existing infrastructure of hydropower to count toward their renewable energy goal. Once again, it’s time for the voters of Washington State to speak up. We must let our representatives know a weakened clean energy initiative is not what we voted for when we approved I-937 in 2006. The folks from Yes! on I-937 have a great summary of why this is would be a raw deal for the citizens of our state. Legislators considering revisions to I-937 must hear now from the thousands of supporters who helped pass the initiative. We need to tell our legislators that we expect I-937’s renewable and energy efficiency standards to be fully met or even strengthened, not diluted. Preserve voters’ intent through I-937 to increase development of new renewable energy and energy efficiency. Keep Washington a leader in the national effort to establish a clean energy economy. Protect the state’s and Governor Chris Gregoire’s single most important tool for curbing global warming and reducing greenhouse gas emissions. Do not allow special interests that opposed the initiative at the ballot box to weaken the clean energy standards. Click here to let your voice be heard.